This is a sponsored post on behalf of Savings.com, however all opinions are my own. My family watches football all year, but nothing is like the big game in January! We pull out all the stops, (even with matching team t-shirts) and of course, all kinds of delicious game day food! It’s a lot of fun, and the kids get a kick out of coming up with football, well, everything! 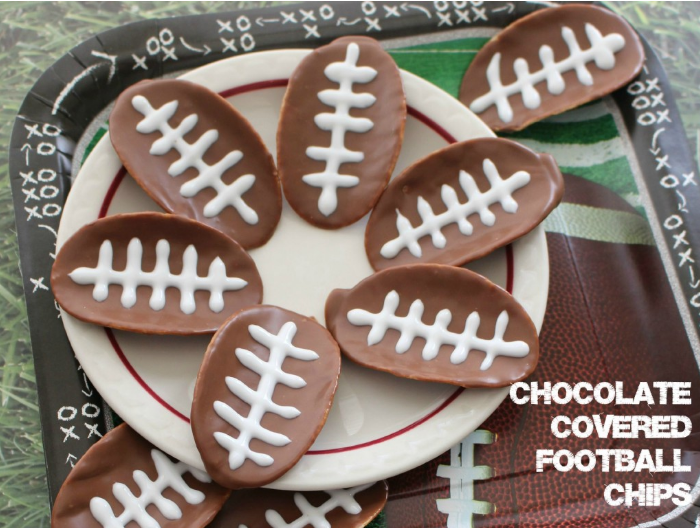 And we get great deals on all the game day essentials at Sam’s Club – like what’s a football game without wings? 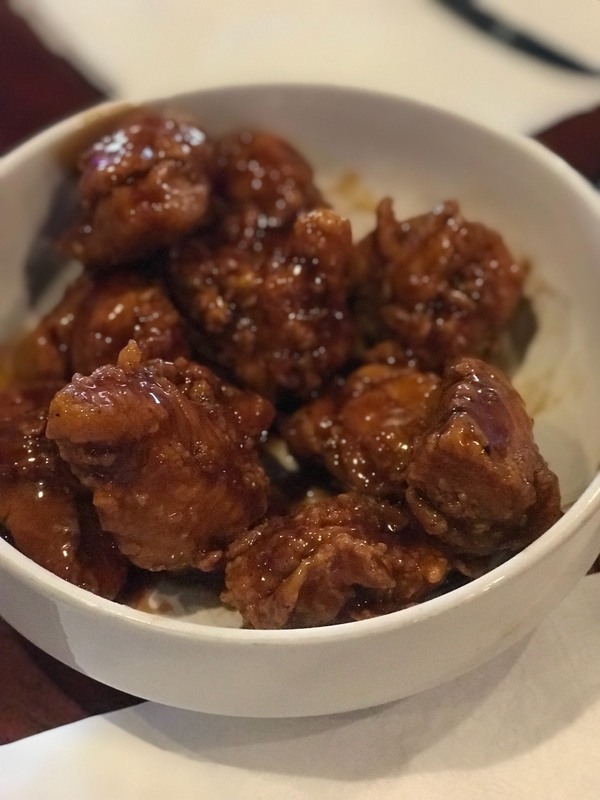 Tyson Chicken Wings are my favorite, and I can get enough for the whole family without breaking the bank. We pick up all our game day essentials at Sam’s Club, including candy like Skittles and M&M’s and of course 5-Hour Energy Drinks to keep us going! If you aren’t a member of Sam’s Club yet (why aren’t you?!) check out this awesome promo! Get a $20 gift card with a $45 membership purchase! Be sure to check out your Valpak envelope for additional information on Sam’s Club memberships and the savings available to members! Also make sure to enter the #SamsBigGameGiveway! 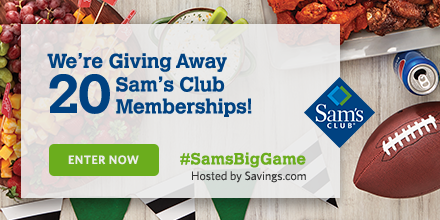 Savings.com is giving away 20 of the $45 Sam’s Club Memberships! Hurry and enter NOW, giveaway ends 1/16. Join us for the #SamsBigGame Twitter Party happening at 6 p.m. on January 16th! They will be giving away $500 in prizes! Be sure to RSVP here. This entry was posted in Reviews/Giveaways. Bookmark the permalink.